I have watched BB from the beginning and have had very negative feelings for a few HG's and very positive feelings for many. I know that BB allows, and often encourages, HG's to be despicable and do despicable acts. It has occurred in the past and will occur again, as long as the show is on the air. Yes, you might say that BB is a social experiment (at best) and a portrayal of all that demeans us as human beings (at worst). This season, oddly enough, I have no favorite HG. 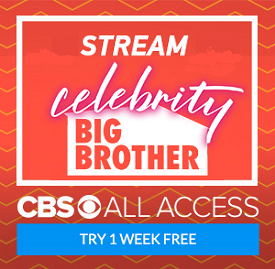 For some reason, I've had a bad feeling about BB16 from the first episode and I don’t exactly know why – could it be the numerous and unanimous eviction voting (mob mentality? ), could it be the motley alpha personalities (bully? ), and/or could it be the multiple child-like personalities (clueless?). This week, my worst thoughts were confirmed and I feel that this season is the “perfect storm” of all of these things. I can muster no respect for game play, no admiration for big moves, no joy at missions accomplished and strategies played out – only a deep feeling of sadness. The somber tone of your recap confirms for me that I may not be alone in my thinking. It’s almost impossible to watch this train-wreck of psychotic, misogynist, maldeveloped, and immature sexual harassment perpetrators and bullies – but I guess I will. I can only think this is proof positive that blood and gore will always attract a crowd – no matter how sad it is. I think Zach deserves at least half the TA money plus all Frannie's share. If it weren't for Zach, TA would have been a bust thus far. Besides, I don't think the Ugandans will accept money from people like Frannie. Africa is so big, though. Still wishing Zach would blow up Frankie and perhaps the show at eviction time (when Julie gives him his "chance" to save himself in the vote, he tells Julie Frankie already told him he was being voted out days ago, in violation of BB rules, so no need for a vote, just let him the hell out away from the scumbag that is Frankie, and for the HGs to keep seated when he leaves, because he doesn't want the fake hugs after all the slander, then goes to the door and bangs on it until they let him out). That would certainly meet the "expect the unexpected" BS and likely allow Zach to reclaim some of the time he's lost in this sociopathic nuthouse that BB deliberately builds each year. Note to BB Recruiters: The flaming gay queen is so 1980s, although I sadly suspect that for a lot of Middle 'Murica, that is how they see gay people. The thing that annoys me the most about this season is they already have a "designated winner and star" in Frankie. The resulting arrogant, entitled behavior and its interaction in the game play is ridiculous. It is difficult to watch and expect there is a real game going on.